25 May 2016: Larry Gbevlo-Lartey Esq., Special Representative for Counter-Terrorism Cooperation and Director of the African Centre for the Study and Research on Terrorism (ACSRT) received a delegation from the French National Institute for Advanced Studies in Justice and Security (INHESJ), led by its Director Mr. Cyrille SCOTT on a visit to the ACSRT. 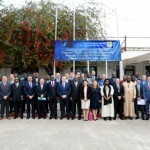 The INHESJ is a French State sponsored public administration institution that offers training and conducts research at the strategic level in the areas of Justice and Security. The delegation included 120 course participants from various European and African countries and academic staff of the Institute. 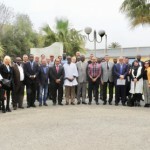 The visit was part of a study tour of the current course to Algeria. In his welcome remarks, Mr. Gbevlo-Lartey, expressed his delight at the visit and underscored the need and potential benefit in pursuing cooperation between the two institutions in the areas of research and faculty. Madame Zainab Ali Kotoko the Coordinator of UFL, who was present, gave the delegation an update on the Terrorism situation in the Sahel region. Mr. Cyrille SCOTT, in his response expressed gratitude at the warm reception. He touched on the current focus of INHESJ on research into Counter-Terrorism and Violent Extremism. He welcomed the idea of exploring areas of cooperation between the two institutions and indicated he would be glad to personally lead that effort with the Director of ACSRT. 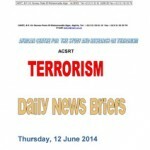 There were two presentations by Staff of ACSRT. 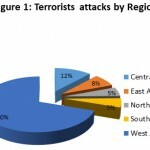 One on the current terrorism situation in Africa and the other on the Foreign Terrorist Fighter phenomenon. ACSRT Publications were presented to the delegation at the end of the visit.